Fifty-two high-achieving Killeen ISD teachers stepped into the studio spotlight and entered the school district’s pathway to teacher of the year. 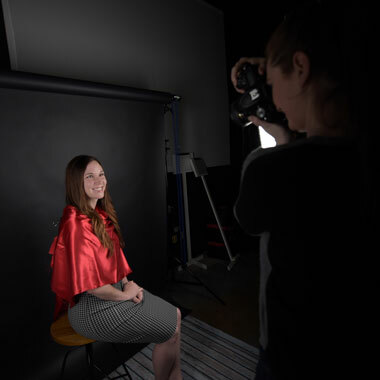 This year’s campus representatives for teacher of the year posed Tuesday for their official portraits and heard from the district’s current teachers of the year as they begin the process toward the surprise announcements May 21 at the Killeen Civic and Conference Center. The peer-chosen candidates compete to represent KISD as 2019-2020 Elementary Teacher of the Year and Secondary Teacher of the Year and enter the Region 12 Teacher of the Year process. 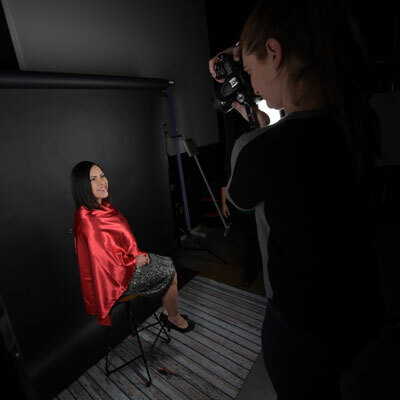 After sitting for their closeup in the KISD Career Center studio, this year’s candidates received inspiration from Elementary Teacher of the Year Angelica Rodriguez and Secondary Teacher of the Year Joseph Merlo. The pair of honorees assured this year’s representatives that the most challenging part, an extensive reflective essay, is behind them. They also congratulated the teachers for earning praise from their campus colleagues. In the weeks to come, the teacher of the year representatives will share their personal stories to a panel of community members and educators and will undergo classroom observations. 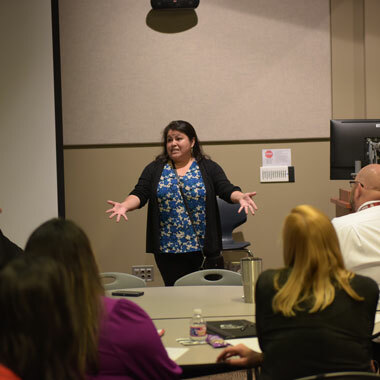 Telling your story is enjoyable, Rodriguez said, because the panel members are supportive of teachers and interested in hearing their inspiring words. “You are the best in the district,” said Merlo, Ellison High School lead JROTC instructor and the KISD and Region 12 Secondary Teacher of the Year. He reminded the teachers they have already won by earning the nomination from their colleagues. Clifton Park Elementary School music teacher Shannon Gallinger is a campus teacher of the year for the second time. She was an elementary finalist in 2012. Career Center radio broadcasting teacher Jamie Garrett, the voice of the Teacher of the Year event is now his school’s candidate for the award. He said he feels like expectations are high, based on past candidates from the Career Center. He also likes the idea of continuing to educate the community about the strong offerings at the Career Center and the professional opportunities of Career and Technical Education.